Deer Park Family Care Clinic P.S. WE ACCEPT ALL FORMS OF INSURANCE INCLUDING MEDICARE and MEDICAID. SLIDING FEE SCHEDULE AVAILABLE. For prescription refills, please contact your pharmacy. They will then contact the clinic with your request. You should then allow 48 hours (2 business days) for the refill to be authorised and filled. As we care about your safety, we are unable to refill prescriptions over the weekend, after hours or over the phone. This year all the proceeds will be going to benefit the Deer Park High School Track Team. Come join us on April 7th at 9am for registration and the run/walk starts at 10am. Prizes for top three places in age categories will be handed out at the finish. 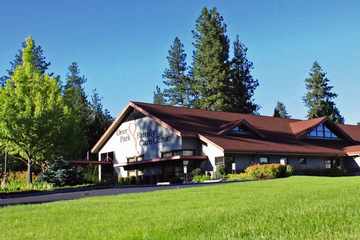 Deer Park Family Care Clinic provides a full range of health care services for Deer Park and the surrounding communities including North Spokane. Our services provided include a state certified lab, in house digital x-ray and NEW Pulmonary Rehab services with our Respiratory Therapist. New patients are always welcome!